The first time I ever tasted classic risotto was when I was in culinary school in Houston. I was dazzled by the burst of flavors and the comforting creaminess of this dish. I was in heaven y’all! Risotto does take a little time, more than just steaming a pot of rice, but I can vouch that it’s well worth the effort! 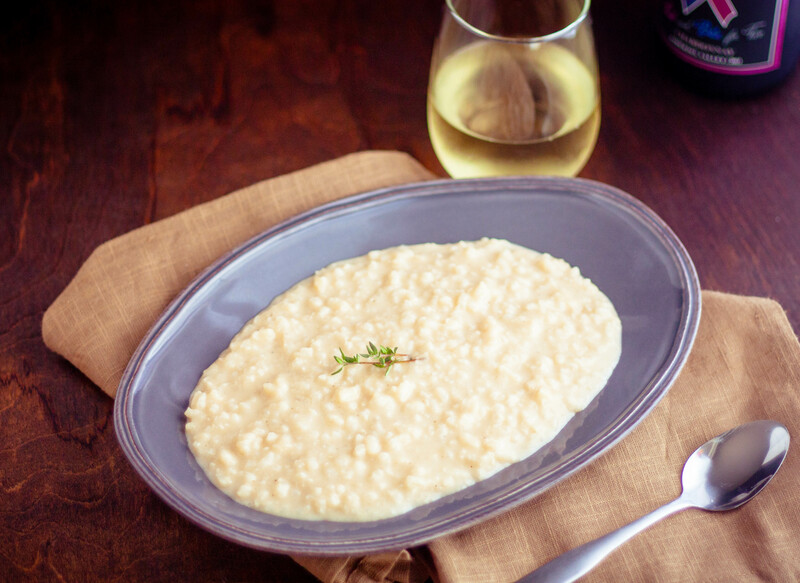 I love risotto as a side dish, in place of mashed potatoes or as a decadent main dish. I have many more risotto recipes to come! Think of Sea Scallop and Citrus Saffron Risotto, Creamy Lobster and Crab Risotto, Roasted Salmon and Lemon Risotto, Shrimp Scampi Risotto, Wild Mushroom Risotto, Grilled Ribeye over Gorgonzola Wild Mushroom Risotto… Oh the list goes on and on! Give this classic risotto a try. 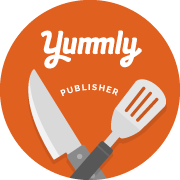 It would go great with my Bacon Wrapped Stuffed Shrimp, Braised Beef Short Ribs, Brown Sugar Balsamic Glazed Pork Tenderloin, Chicken Marsala, Pan Seared Scallops with Citrus Balsamic Glaze, Simply Grilled Wild Sockeye Salmon. I hope you enjoy! Preheat the chicken broth just to the boiling point. Keep broth on a low simmer. Using a large skillet with a heavy bottom, heat the olive oil over low heat and sauté or “sweat” the shallot until translucent, being careful not to allow them to color or brown at all. Add the Arborio rice, stir to coat with the olive oil and sauté with the shallots, about 7 minutes, stirring often. Once the rice is lightly toasted, stir in the garlic and sauté 1 minute more. Add the white wine slowly, stirring with a wooden spoon. After the rice has absorbed the white wine and the skillet is nearly dry, add 1-cup broth, stirring occasionally and cook over very low heat until the broth is absorbed and skillet is almost dry. Continue adding the broth, 1 cup at a time, until the broth has been absorbed. After all of the liquid has been added, remove from heat and stir in the butter, parmesan and heavy cream. Stir to combine and season with salt and pepper to taste. Serve immediately. Sautéed shrimp, mixed seafood sautéed in olive oil. Diced fresh vegetables sautéed in olive oil. Sautéed mushrooms, roasted garlic and fresh herbs.